Blekinge Institute of Technology, Halmstad University, Kristianstad University, Lund University, Malmö University, and the Swedish University of Agricultural Sciences have a long-standing collaboration within several areas of education, PhD programmes, research, administrative functions and external engagement. These collaborations provide increased quality, better utilisation of resources and improved contacts with industry and society, benefiting students and universities as well as society at large. Societal development places new demands on universities. 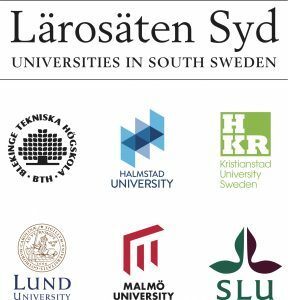 In order to meet these demands, the six universities have joined forces to form a network of Universities in South Sweden. Through this collaboration, we are able to meet increased demands and take greater societal responsibility by educating for the future and taking on the challenges we face through research and innovation, among other things. In this capacity, Universities in South Sweden makes a difference and contributes to even better and stronger regions. The universities that are part of the network have in total approximately 55 500 full-time students, 10 600 employees and about SEK 14 billion in revenue (figures from 2016). This corresponds to about 20 % of the education sector in Sweden within these three areas. The universities’ students and employees are from all over the world. Their research has considerable breadth and many specialisations, and include major research facilities, a university hospital and several innovation clusters in which new and established companies develop. The six universities together account for approximately 20 % of all funding awarded to Swedish higher education institutions from the EU Framework Programme for Research & Innovation (Horizon 2020). Together, the universities create a dynamic whole and a knowledge environment for higher education and research in southern Sweden. The Brussels office’s role is to increase the profile of the universities at EU level, to improve the monitoring and influencing of EU policy programmes and to support the building of closer international partnerships. An overall goal is to support an increased participation in the EU Framework Programme. Maintaining and building networks in Brussels, and support with participation.